Final Cut Pro can be daunting when you first use it. We will do our best to guide you through, but a very very good resource which you should also use is the Final Cut Pro manual which is available online. I have been using this program for years and I still refer to the manual as my bible!! 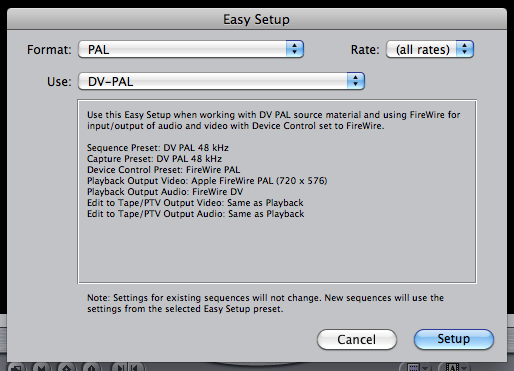 Video Format Basics - In Australia we use the PAL standard, at 25 frames per second. The aspect ratio of a video frame is width with respect to height, so Standard Definition video has an aspect ration of 4:3, while High Definition is 16:9. Open Final Cut Pro. 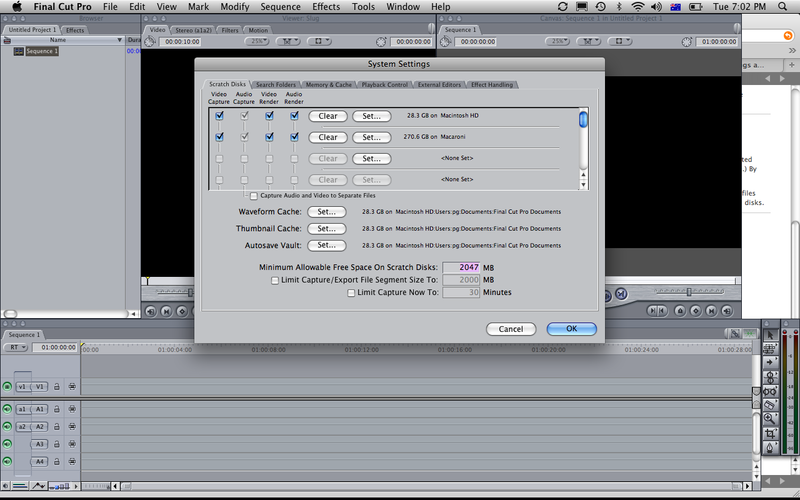 Menu bar > Final Cut Pro > Easy Set Up. Now, the settings you chose will depend on the type of video you took, or the settings on your camera. Did you take a High Definition video? How many frames per second did you shoot your video in? Change the format and the rate according to the camera's settings. If you shot in High Definition, chose HD. Choose the frame rate matching that of your camera settings. Use HDV - 1080p 25. Otherwise, choose PAL, rate should be 25 and use DV-PAL. It is sometimes difficult to understand which settings to use. If you have chosen a setting that doesn't match the footage you end up importing, FCP will change it once you have started to work with the footage in the sequence. The next thing you need to do is set your scratch disk. 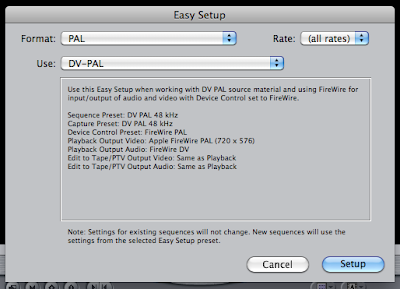 This is the where FCP will save your work, and it should be where you keep you clips. Ideally this will be your external hard drive. A USB stick does not work the same way as an exHD in this case. Menu bar > Final Cut Pro > System Settings. Click SET and locate your Hard Drive, you can even create a new folder to save all of your FCP documents in. Click CLEAR on Mac HD (the computer's hard drive), so that it only saves to your hard drive. Each of the windows can be opened or closed individually. If you accidentally close the browser for example, you can reopen it by menu bar > window > browser. If you want to hide all of the windows: menu bar > final cut pro > hide final cut pro (the short cut is command H). Make sure you have your video clips, still images and sound/music saved onto your hard drive. File > Import > Files. Locate your clips. You can select more than one by holding down the shift key. Your files (clips, images or sounds) will appear in the bin in the browser window. If you double click on a clip/image/sound it will open in the Viewer window, where you can watch/listen. You can mark in where you want your clip to begin and out where you want it to end, then click and drag the clip from the viewer down to the timeline. 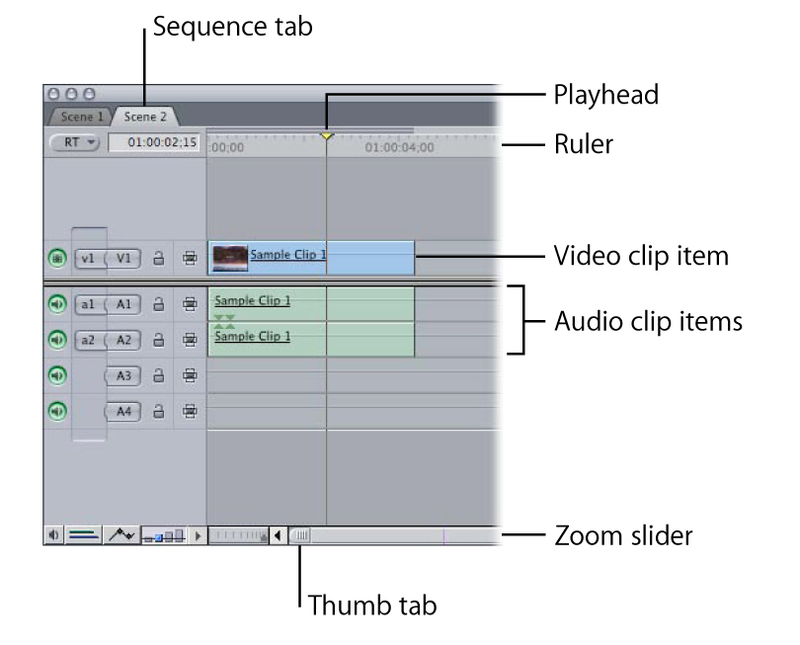 You can also drag and drop clips straight from your bin into the timeline. 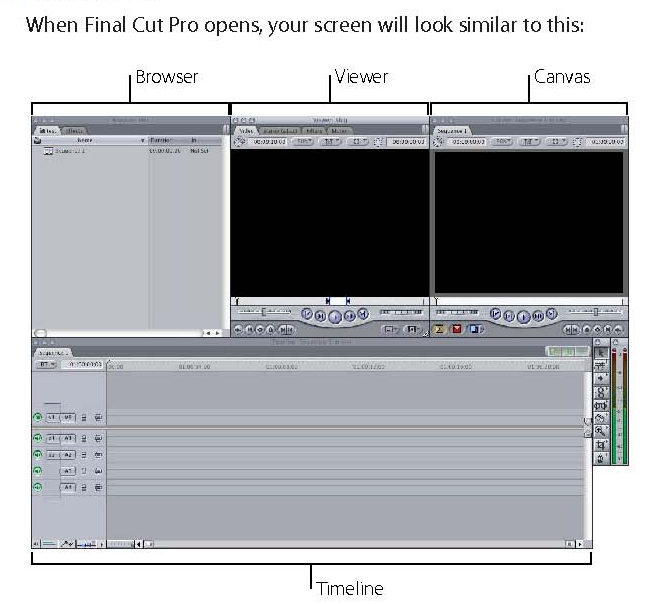 The beauty of FCP is that it is a non-linear editing program, which means you can work on multiple scenes/sequences at once, then arrange them in order later. To open another sequence File > New > Sequence. You can have layers of clips, like in photoshop, just drag and drop the second clip above the first (not directly on top, but just above to create a v2 (video 2) in the timeline. The top clip will be the only one visible until you change the composite mode or resize or cut the clip (which we will cover soon). You can drag the clips to any position within the timeline. If you have linked selection on the audio will move with the video (and vice versa), if it is off, you can separate the video from the audio (including deleting it from the timeline). 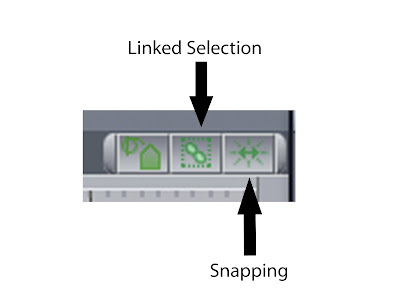 Having snapping on means when you move clips around it will snap to the edit, marker or playhead it is closest to. 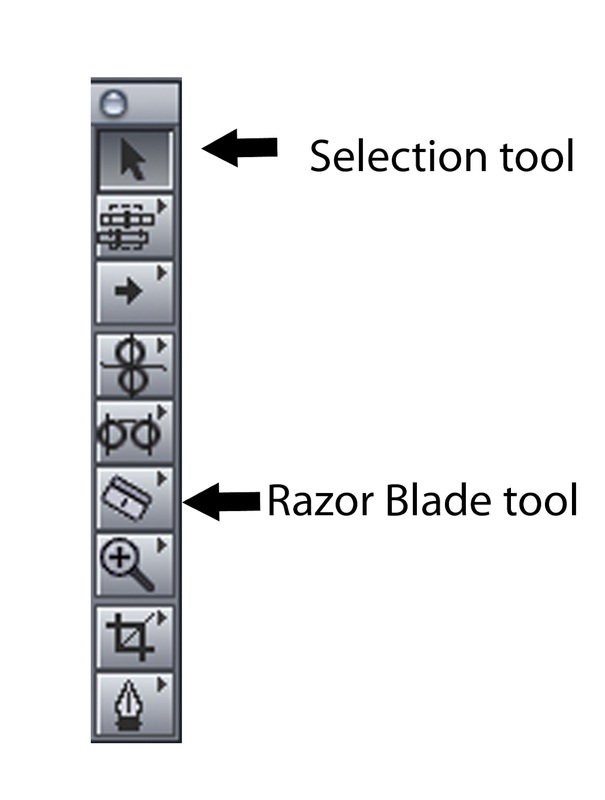 The 2 most common tools you will use are the selection tool and the razor blade tool. The selection tool has the same function as in all of the other programs we have been using thus far. 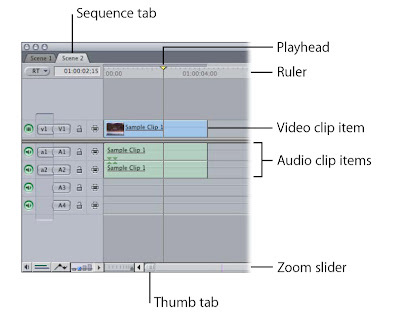 The razor blade tool is used to cut your clips for editing. It allows you to cut unwanted footage from your timeline. You can cut a clip anywhere in your timeline. Make 2 cuts and delete in between (select section to be deleted with the selection tool and hit delete on the keyboard). You can then simply drag the clip to meet up with the previous edit. 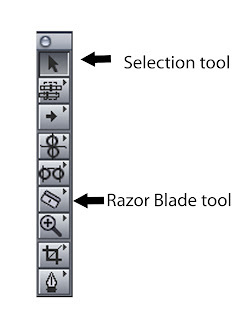 Razor Blade All: Cuts all clip items on all tracks at the point where you click in the Timeline. If you delete too much of a clip, you can simply click on the edge of the clip and drag it to where you want the clip to end. The beauty of non-destructive editing!! As you move your arrow over a clip it changes from an arrow (around the center of the clip) to a Resize pointer (at either the beginning or the end of the clip). Another interesting and easy effect. In the bottom left hand corner of the window you will see this little tool. If you click on it a white line will appear in your timeline. Then select the pen tool. You can then add keyframes to the white line with the pen tool. 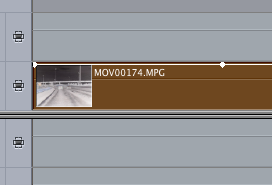 If you drag a keyframe down to the bottom of the timeline, it reduces the opacity of the video. This is really useful to fade in and out, and also to lay one video over another.